The Office of General Counsel provides legal support for the University's broad range of institutional concerns. We strive to work with the University community in a proactive manner, practicing "preventive law" where possible to minimize the University's exposure to legal risks. We also provide day-to-day legal support of the University's operations and, where necessary, protect the University's interests. The Office's attorneys, as well as professional and administrative staff, work together in carrying out our mission of legally representing the University. We invite you to use this web page to familiarize yourself with the services that we provide and the resources that are available to the University community. Please feel free to contact us if you require further information or if the Office of General Counsel may assist you. To anticipate and provide high quality, timely and practical counsel to the University, its colleges, departments, officers and administrators. 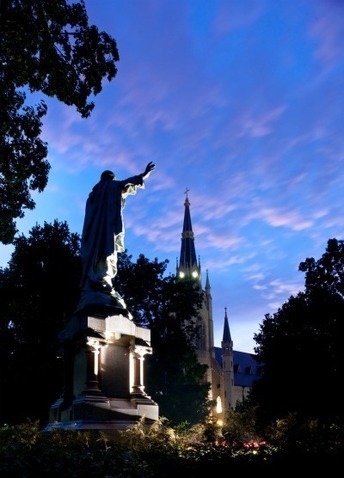 To be trusted strategic counselors to our University clients, who will look to us for our sound judgment, as well as excellent legal advice, as we work together to fulfill Notre Dame's mission.